Students who attend the extended day program will be picked up by a staff member at the very beginning of the year to ensure they know the way. After the first two weeks of school, they will walk to the extended day room themselves upon dismissal. Any student unfamiliar with the route will be assigned a buddy to show him or her the way. Please keep me notified of any changes to your child's extended day schedule. It is vital that I know your plans to ensure your child's safety each afternoon. 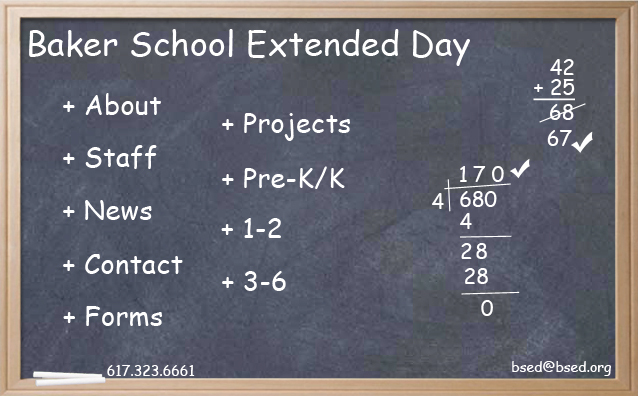 If your child is not attending the extended day program on one of his/her regularly scheduled day, be sure to contact the extended day program to let them know.